When anyone says that Barack Hussein Obama doesn’t know what he’s doing, they just don’t understand the agenda. He belongs to the progressive left and is the puppet of George Soros. He played it just as he was told during his first term. He even upheld traditional marriage back then, but do you see that was the plan? He couldn’t show his cards. He was on his first term, and had much to accomplish during his second. Oh, he knew that he would win. You can take that to the bank. Obama is an evil man. Everything he does is calculated. Everything he does is told to him to do. He had to destroy the definition of traditional marriage. Gay marriage is now legal in most states. Mission accomplished. But he is not through destroying the fabric of America. He is a Communist/Socialist radical without a conscience. His latest strike against our country, actually hits our children directly. “The largest school district in Virginia is expanding its non-discrimination policy to include gender identity over the loud objections of parents, and the Obama administration intends to impose the change on every public school district in the country. On Thursday, the Fairfax County School Board voted overwhelmingly to expand it’s non-discrimination policy to accommodate transgender teachers and students. The vote came after the second of two boisterous hearings, at which parents overwhelmingly opposed the change. The amended policy would apply to students as young as preschool and allow teachers to stay in the classroom if they declare themselves to be a different gender and conduct themselves accordingly. Many parents are concerned about privacy for their kids if transgender adults and students are granted access to restrooms and locker rooms opposite of their biological gender. For weeks, board members touted the change as minor change and one that would ensure all people are treated fairly. Shortly after the vote, that story changed. In a statement released after the meeting, school board chairwoman Tamara Derenak Koufax released a statement which said the federal government left the board no choice. “The U.S. Department of Education has told school districts that transgender students are protected from discrimination under Title IX and has recently required some school districts including Alexandria, Va., to amend their policies to expressly include gender identity,” said Koufax in the statement. Elizabeth Schultz was the only board member to oppose the policy change. But she says Koufax is right about the federal intrusion. “They’ve threatened that if we do not they will pull our federal education funds, free and reduced meal money for impoverished students,” said Schultz to the Washington Examiner. As a result, this debate may soon be playing out in every public school district in America. “What happened in Fairfax is not just about Fairfax. It is now a national issue,” said Traditional Values Coalition President Andrea Lafferty, whose children were enrolled in Fairfax schools for many years. “President Obama and his Justice Department and his Department of Education are going to start telling school districts, ‘If you do not add gender identity, we are going to take away all your federal funding,” said Lafferty. But Lafferty says the school board never brought up the federal mandate until after the vote and its reasons for considering the policy until this revelation was all over the place. She says the shifting explanations didn’t end there. “As the days went by and more people expressed outrage, the story changed again. The sponsor said, ‘Let’s pass it and then the staff can tell us what’s in it, just like with Obamacare,” said Lafferty. As maddening as the changing rationale is for Lafferty, she says the board’s treatment of concerned parents was even more outrageous. At each of the two meetings devoted to the subject, 10 people were allowed to speak for three minutes apiece. “The parents that were in the building and the parents that were locked out were overwhelmingly opposed to this. Anybody that watched it live or watched it online, could see the arrogance of the school board speaking down to these parents. Parents are upset. They want to be involved in the process and they weren’t,” said Lafferty. Lafferty approached Fairfax County Superintendent Dr. Karen Garza to complain about a process that stiff-armed parents away from the decision-making process. Garza disagreed. “She vehemently disagreed with me. The superintendent and all the school board except for one or two people think parents’ voices have been heard and it’s completely untrue,” said Lafferty, who says the district studied and evaluated whether to change the start of the school day for many years but limited this issue to just one hour of public input. For now, she insists this fight is not over in Fairfax. “It’s never final. These people were voted in. They are not lifetime judges and they can be voted out in November. There is a possibility of legal action. There’s a lot of things that we’re looking at right now,” said Lafferty, who says every parent concerned about this issue needs to get ready for a fight in their town. 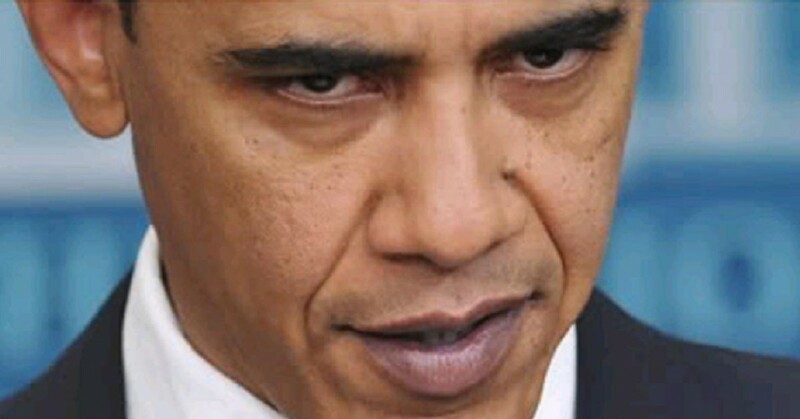 This president has destroyed America. I believe that he is part of God’s judgment against us. I also believe that it is too late for America to turn back. Of course, God can do anything He wants to do. But I believe that God is finished with America. I hope I’m wrong. This is Shameful of the Sunni muslim Barack Hussein Obama, he is a Antichrist ( 1 John 4:3 KJV )!! This Abomination BHO HATES ISRAEL-YISRAEL and our JUDEO-CHRISTIAN NATION USA! !